In years past, profitable C Corporations were subject to a federal tax rate of up to 35 percent. However, recent changes have reduced this tax to a much more attractive 21 percent flat rate. This serves to create a more level playing field between C Corporations and pass-through entities. 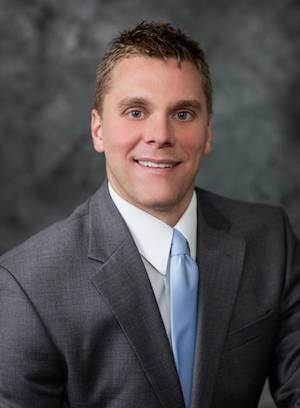 415 Group Senior Manager Chad Isler, CPA, MT, explains several factors that should be considered when selecting a business entity structure. The changes made by the recent Tax Cuts and Jobs Act (TCJA) represent the biggest shift in the tax landscape in the past 30 years. This is especially true with the impact the TCJA is having on determining the most tax advantageous way to structure businesses. For years, many small and mid-size companies had a tendency to use a pass-through entity, such as an S Corporation or Limited Liability Company (LLC) due to the double layer of tax imposed on C Corporations. The reduction from a potentially 35 percent C Corporation tax rate to a flat 21 percent should encourage businesses to reexamine their entity structure according to the pros and cons found under the new rules. Many times, the entity decision may rely on factors unrelated to just the tax law change. If a company has a significant amount of debt on its books it may want to be a C Corporation and keep the after-tax profits (79%) in the company to pay down debt, minimizing the effect of the double level of tax. On the other hand, startup businesses often experience losses in the first several years. And since losses generated from a C Corporation cannot be deducted by their owners personally, becoming a pass-through entity could make sense when more than one business is involved. You can’t determine the best structure by looking only at the current state of your business. You need to have a real understanding of where the business is headed and your long-term goals— that’s the takeaway I want our clients to understand. For example, business entity selections cannot be changed frequently and are typically in effect for five years. That said, the wrong decision could negatively impact your business for years to come. As the new tax law goes into effect, we have the resources to help our clients stay up-to-date. At 415 Group, we combine our expertise in tax law with an intimate knowledge of our clients’ business needs to make informed decisions. The Tax Cuts and Jobs Act (TCJA) introduced a flat 21% federal income tax rate for C corporations for tax years beginning in 2018 and beyond. Under prior law, profitable C corporations paid up to 35%. This change has caused many business owners to ask: What's the optimal choice of entity for my start-up business? For tax years beginning after December 31, 2017, the latest tax law establishes a new deduction based on a noncorporate owner's share of a pass-through entity's qualified business income (QBI). This break is available to eligible individuals, estates and trusts. The deduction generally equals 20% of QBI, subject to restrictions that can apply at higher income levels. The QBI deduction isn't allowed in calculating the noncorporate owner's adjusted gross income (AGI), but it reduces taxable income. In effect, it's treated the same as an allowable itemized deduction. The sum of 25% of W-2 wages plus 2.5% of the cost of qualified property (to allow capital-intensive businesses to claim meaningful QBI deductions). "Qualified property" means depreciable tangible property (including real estate) owned by a qualified business as of the tax year end and used by the business at any point during the tax year for the production of QBI. Under an exception, the W-2 wage / qualified property limitation doesn't apply until an individual owner's taxable income exceeds $157,500, or $315,000 for a married individual who files jointly. Above those income levels, the W-2 wage / qualified property limitation is phased in over a $50,000 taxable income range, or over a $100,000 range for married individuals who file jointly. The QBI deduction generally isn't available for income from specified service businesses, such as most professional practices. Under an exception, however, the service business disallowance rule does not apply until an individual owner's taxable income exceeds $157,500, or $315,000 for a married individual who files jointly. Above those income levels, the service business disallowance rule is phased in over a $50,000 taxable income range, or over a $100,000 range for married joint-filers. Important note: The W-2 wage / qualified property limitation and the service business disallowance rule don't apply as long as your taxable income is under the applicable threshold. In that case, you should qualify for the full 20% QBI deduction. The big reason that pass-through entities were popular was that income from C corporations is potentially taxed twice. First, the C corporation pays entity-level income tax. And then, corporate shareholders pay tax on dividends and capital gains. The use of pass-through entities avoids the double taxation issue, because there's no federal income tax at the entity level. Although C corporations are still potentially subject to double taxation under the TCJA, the new 21% corporate federal income tax rate helps level the playing field between C corporations and pass-through entities. There's no universal "right" answer when deciding how to structure your business to minimize taxes. The answer depends on your business's unique situation and your situation as an owner. Here are three common scenarios and choice-of-entity implications to help you decide what's right for your start-up venture. 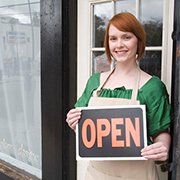 If your business consistently generates losses, there's no tax advantage to operating as a C corporation. Losses from C corporations can't be deducted by their owners. So, it probably makes sense to operate as a pass-through entity. Then, the losses will pass through to your personal tax return (on Schedule C, E, or F, depending on the type of entity you choose). Let's suppose your business is profitable and pays out all of its income to the owners. Here are the implications of operating as a C corporation vs. a pass-through entity under this scenario. Results with a C corporation. After paying the flat 21% federal income tax rate at the corporate level, the corporation pays out all of its after-tax profits to its shareholders as taxable dividends eligible for the 20% maximum federal rate. So, the maximum combined effective federal income tax rate on the business's profits — including the 3.8% net investment income tax (NIIT) on dividends received by shareholders — is 39.8%. That equals 21% for the corporate level tax, plus the personal level tax rate on the dividends, which are reduced by the corporate level tax [(20% + 3.8%) x (100% – 20%)]. While you would still have double taxation here, the 39.8% rate is lower than it would have been under prior law. Results with a pass-through entity. For a pass-through entity that pays out all of its profits to its owners, the maximum effective federal income tax rate on the venture's profits is 40.8%. That equals the highest federal income tax rate for individuals (37%), plus 3.8% for the NIIT or 3.8% for the Medicare tax portion of the self-employment (SE) tax (whichever applies). This example assumes that, if the SE tax applies, the additional 0.9% Medicare tax on high earners increases the rate for the Medicare tax portion of the SE tax to 3.8%. If you can claim the full 20% QBI deduction, the maximum federal income tax rate is reduced to 33.4%. That equals the highest federal income tax rate for individuals on passed-through income reduced to reflect the QBI deduction [37% x (100% – 20%)], plus 3.8% for the NIIT or 3.8% for the Medicare tax portion of the SE tax (whichever applies). However, the QBI deduction is allowed only for 2018 through 2025, unless Congress extends it. In this scenario, operating as a pass-through entity is probably the way to go if significant QBI deductions are available. If not, it's basically a toss-up. But operating as a C corporation may be simpler from a tax perspective. Let's suppose your business is profitable, but it socks away all of its profits to fund future growth strategies. Here are the implications of operating as a C corporation vs. a pass-through entity under this scenario. Results with a C corporation. In this example, we're going to assume that retained profits increase the value of the corporation's stock dollar-for-dollar, and that shareholders eventually sell the shares and pay federal income tax at the maximum 20% rate for long-term capital gains. The maximum effective combined federal income tax rate on the venture's profits is 39.8%. That equals 21% for the corporate level tax, plus the personal level tax on gain that is reduced to reflect the 21% corporate tax [(20% + 3.8%) x (100% – 21%)]. While you would still have double taxation here, the 39.8% rate is better than it would have been under prior law. Plus, shareholder-level tax on stock sale gains is deferred until the stock is sold. If the corporation is a qualified small business corporation (QSBC), the 100% gain exclusion may be available for stock sale gains. If so, the maximum combined effective federal income tax rate on the venture's profits can be as low as 21%. Ask your tax advisor if your venture is eligible for QSBC status. Results with a pass-through entity. Under similar assumptions for a pass-through entity, the maximum effective federal income tax rate on the venture's profits is 40.8%. That equals the highest federal income tax rate for individuals (37%), plus 3.8% for the NIIT or 3.8% for the Medicare tax portion of the SE tax (whichever applies). That's slightly higher than the 39.8% rate that applies with the C corporation option. However, here's the key difference: For a pass-through entity, all taxes are due in the year that income is reported. With a C corporation, the shareholder-level tax on stock sale gains are deferred until the shares are sold. If you can claim the full 20% QBI deduction, the maximum effective rate for a pass-through entity is reduced to 33.4%. That equals the highest federal income tax rate for individuals on passed-through income that is reduced to reflect the QBI deduction [37% x (100% – 20%)], plus 3.8% for the NIIT or 3.8% for the Medicare tax portion of the SE tax (whichever applies). However, the QBI deduction is allowed only for 2018 through 2025, unless Congress extends it. In this scenario, operating as a C corporation is probably the way to go if the corporation is a QSBC. If QSBC status is unavailable, operating as a C corporation is still probably preferred — unless significant QBI deductions would be available at the owner level. If you expect to be eligible for the full 20% QBI deduction, pass-through entity status might be preferred. Discuss this issue with your tax advisor to evaluate all of the pros and cons. Business owners can use a variety of strategies to help lower their tax bills, and those strategies may vary depending on the type of entity you choose. Before deciding on the optimal business structure for your start-up, here are some other issues to consider. Deductions for capital expenditures. For the next few years, C corporations and pass-through entities will be able to deduct 100% of the cost of many types of fixed assets, thanks to the TCJA's generous Section 179 rules, which are permanent, and the 100% first-year bonus depreciation deduction, which is generally available for qualifying property placed in service between September 28, 2017, and December 31, 2022. These changes under the new tax law may significantly reduce the federal income tax hit on a capital-intensive business over the next few years. However, reducing pass-through income with these favorable first-year depreciation rules will also reduce allowable QBI deductions. Deductions for "reasonable" compensation. Closely held C corporations have historically sought to avoid double taxation by paying shareholder-employees as much as possible in deductible salaries, bonuses and fringe benefits. However, salaries, bonuses and benefits must represent reasonable compensation for the work performed. For 2018 through 2025, this strategy is a bit more attractive because the TCJA's rate reductions for individual taxpayers mean that most shareholder-employees will pay less tax on salaries and bonuses. In addition, any taxable income left in the corporation for tax years beginning in 2018 and beyond will be taxed at only 21%. Finally, C corporations can provide shareholder-employees with some tax-free fringe benefits that aren't available to pass-through entity owners. S corporations have historically tried to do the reverse. That is, they've attempted to minimizesalaries paid to shareholder-employees to reduce Social Security and Medicare taxes. The IRS is aware of this strategy, so it's important to pay S corporation shareholder-employees reasonable salaries to avoid IRS challenges. The TCJA makes this strategy even more attractive for many businesses, because it maximizes the amount of S corporation income that's potentially eligible for the QBI deduction. Guaranteed payments to partners (including LLC members treated as partners for tax purposes) and reasonable salaries paid to S corporation shareholder-employees do not count as QBI. But S corporation net income (after deducting salaries paid to shareholder-employees) does qualify as QBI. Appreciating assets. If your business owns real estate, certain intangibles and other assets that are likely to appreciate, it's still generally inadvisable to hold them in a C corporation. Why? If the assets are eventually sold for substantial profits, it may be impossible to get the profits out of the corporation without double taxation. In contrast, if appreciating assets are held by a pass-through entity, gains on sale will be taxed only once at the owner level. The maximum rate will generally be 23.8% or 28.8% for real estate gains attributable to depreciation. Spin-offs. A major upside for pass-through entities is the QBI deduction. But the disallowance rule for service businesses may wipe out QBI deductions for certain types of businesses, such as medical practices and law firms, that are set up as pass-through entities. However, a spin-off might allow you to take a partial QBI deduction. How? If you can spin off operations that don't involve the delivery of specified services into a separate pass-through entity, income from the spin-off may qualify for the QBI deduction. The IRS hasn't yet issued guidance on this strategy. Plus, the QBI deduction is scheduled to expire after 2025, unless Congress extends it. So, making big changes to create QBI deductions may not be worth the trouble. Talk to your tax advisor before attempting a spin-off. The TCJA has far-reaching effects on business taxpayers. Contact your tax advisor to discuss how your business should be set up on opening day to lower its tax bill over the long run. For simplicity, this article focuses on start-ups. If you own an existing business and wonder whether your current business structure still makes sense, many of the same principles apply. But the tax rules and expense for converting from one type of entity to another add another layer of complexity. Discuss your concerns with a tax pro who can help you with the ins and outs of making a change.